Moors Valley is a fantastic place for children to play and explore. Out in the Forest, discover the Play Trail with its unique pieces of wooden play equipment. You can explore inside a giant ‘Ants Nest’, wriggle through giant snakes in the ‘Snake Pit’, attempt the ‘Crocodile Crossing’ and balance on the fallen forest of ‘Timber’. The trail is only a mile long but with so many exciting pieces of play equipment you should allow at least an hour to complete it all. The trail is suitable for pushchairs and most mobility scooters. Half way along the Play Trail there is the option to divert onto the Tree Top Trail. This 5 metre high and 200 metre long wooden walk way takes you up amongst the trees and allows you to get a real bird’s eye view of the Forest. Please note: the Tree Top Trail is not suitable for pushchairs or wheelchairs, however there is a connecting path from start to finish. There are also two imaginative play areas close to the Visitor Centre. The Adventure Play Area, designed specially for older children, includes a zip slide, huge space net, climbing boulder and a fortress of towers and crossings with a long tube slide. 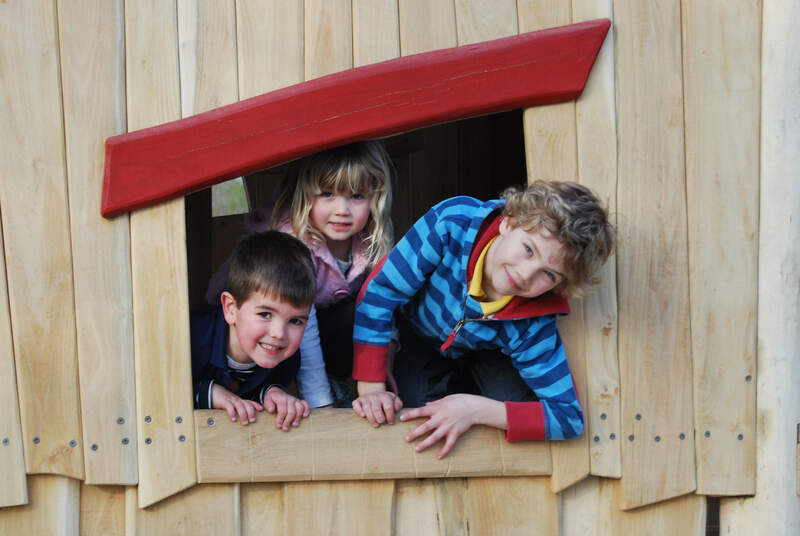 Younger children will be enthralled in the Castle and Sandworks area with its gentle slides and swings, all set inside a safe sand area so don’t forget to bring your bucket and spade too! Are you brave enough to come face-to-face with the Gruffalo? We are lucky enough to be one of only a few places in the country with a lifesize Gruffalo sculpture and a Gruffalo’s Child sculpture plus all of the other characters from Julia Donaldson and Axel Scheffler’s popular story book. Head to the forest picnic area to see if you can find them all.